Running, Biking, Swimming, Training, & Having Fun...That's What We Do! Whether you are planning to do your first sprint triathlon or tackle your second Ironman, Y-Tri can help you achieve your goals. The Capital Y-Tri Triathlon Team at the YMCA Anthony Bowen (Y-Tri) is a premier training program for aspiring triathletes as well as seasoned veterans in the Washington Metropolitan area. Our coaches and members span from first time newbies to award-winning triathletes with decades of experience. This proven program has helped hundreds of people successfully complete their first triathlon and continue competing in triathlons over the years. 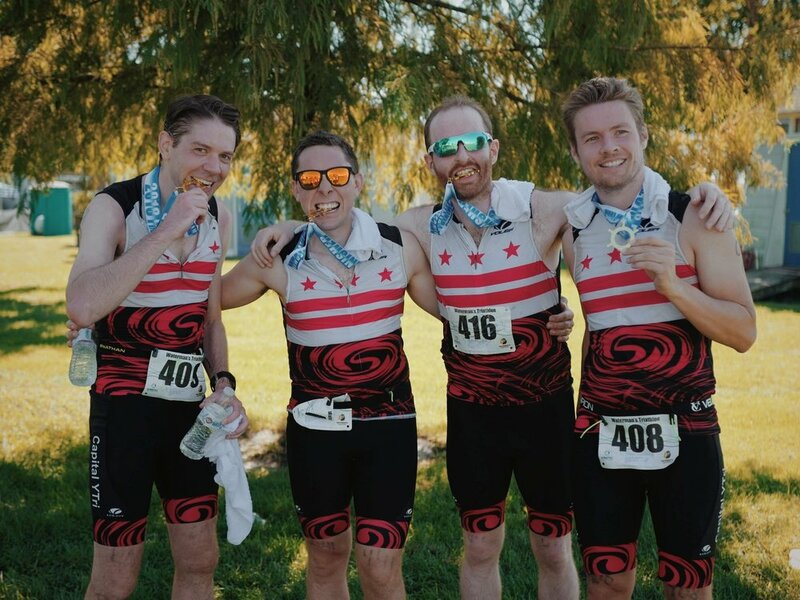 Regardless of your previous experience and ability to swim, bike, and run, Y-Tri's supportive and experienced coaches will take you to the next level. Join Y-Tri for 18 weeks of triathlon training, special clinics, team happy hours, and events to reach your goals in 2019. Y-Tri is definitely the best tri program in the DC Area! The group provides structured classes at a great facility (with a pool!) and lots of peer motivation. Once you join the program, the triathlon part is a given. You WILL be prepared! I had a big birthday and decided to get fit. This step by step program, wonderful instructors, and encouraging group of people made it possible for me to complete a Sprint and then an Olympic distance triathlon in one season. Thanks Y-Tri! I've tried other tri training programs and Y-Tri is definitely the best fit. Structured training schedule with dedicated coaches who know their stuff give you confidence reach your goal. Training with a group gets you out of bed in the morning to be part of a team of truly wonderful individuals. The information and opinions on this site are provided as-is by volunteer coaches and amateur triathletes. There is absolutely no substitute for the professional advice of a doctor or physical therapist. This site is volunteer-run independently of the YMCA. The information and opinions on this website do not represent the YMCA organization.